Get the best deal in Blackburn on your next Land Rover car! 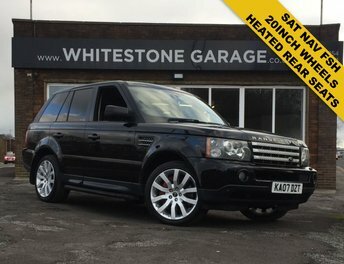 Whitestone Garage specialises in supplying quality used cars and helping customers secure unbeatable finance agreements. With a varied range of quality used Land Rover cars for you to choose from, including the Range Rover Evoque and the remarkable Land Rover Discovery, our team aims to ensure you leave Whitestone Garage with the perfect model at the right price. Let our team of friendly experts help you find the Land Rover for you by making your way to our dealership in Blackburn soon! Alternatively, give us a call to arrange a test drive at a time and date that suits you!